Whether you’re throwing out domestic rubbish or carrying out large scale renovation work on a construction project, you need a compact skip able to take the load. 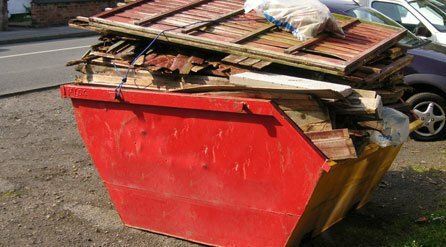 Here at Britannia Skips Ltd we can provide you with an excellent 4 yard skip as part of our range of skip sizes. Our 4 yard skips have a capacity of 4 cubic yards, equivalent to 3 cubic metres, with measurements around 51 x 53 x 36 inches in length, width and height. Their compact size makes them ideal for assisting with smaller building jobs, including materials such as rubble, and waste clearances such as cardboard and plastic. No matter what you need it for, our 4 yard skip will be able to do the job. A 4 yard skip can fit an equivalent of around 30 – 40 average-sized bin bags, giving you just enough cover for any rubbish you accumulate when emptying your house or disposing of waste from your industrial project. Here at Britannia Skips Ltd not only can we provide you with the perfect 4 yard skip for your application. We can also help you with obtaining the council permit for the skip as well as providing you with other expert advice. If you have any questions about which skip would be best for you, please don’t hesitate to contact us at Britannia Skips Ltd today. We would be happy to direct you to another more suitable size of skip if we believe a different one would be more appropriate.